Asbestos ceiling tiles. Popcorn ceiling. They’re terms you’ve probably heard in passing but most people don’t think twice about them, they just…are. But did you know that both asbestos ceiling tiles and popcorn ceiling can expose your family or workplace employees to dangerous levels of asbestos exposure? So, today we’re taking a quick look at what you need to know about asbestos ceiling problems and what you should do about them. From the 1940’s through to the 1980’s, it was common for asbestos to be used in ceiling tiles. These types of tiles are quite common in drop style ceilings. This type of ceiling was often used in institutional buildings like schools, but also by homeowners in basements and kitchens. According to the Environmental Protection Agency, asbestos use in textured ceiling paint was banned in the late 1970’s. If your home was built prior to the 1970’s or was built using textured ceiling paint that was made prior to the late 1970’s then there’s a chance that your popcorn ceiling contains asbestos. It’s important to know, however, that not all popcorn ceilings are contaminated by asbestos. The best way to determine whether or not your popcorn ceiling is contaminated by asbestos is to have a professional come in and test it. There are at home tests that you can perform, however, to do these tests you need to scrape a portion of your ceiling away which can cause asbestos fibers to become airborne so it’s always best to call in a professional to do the job for you. There is no real way to know whether your popcorn ceilings are contaminated with asbestos without testing, but if your home was built before the 1970’s then there’s a good chance that your ceilings are contaminated and need testing. Other products that may be of concern when it comes to asbestos ceiling problems are varied but they include construction adhesives, ductwork connectors, insulation, and paints. It can be next to impossible to determine whether some of these products contain asbestos but you should always be wary if you live in an older home. Asbestos use in construction was extremely prevalent before the late 1970’s and if your home was built before this time then the chances are very high that your home has some type of asbestos contamination. Asbestos is a tricky thing because it can be harmful to your health when released into the air. If you have asbestos ceiling concerns in your home and the ceiling tiles or popcorn texture have been damaged in any way, there is a chance that asbestos fibers have become airborne. That means that you’re breathing them in. If, however, your asbestos ceiling has no damage at all, then you could cause more asbestos to become airborne by removing and replacing it so it may be safer to leave it be. The only way to know for sure what the best solution is for your asbestos ceiling is to have a qualified asbestos consultant test the air quality in your home. 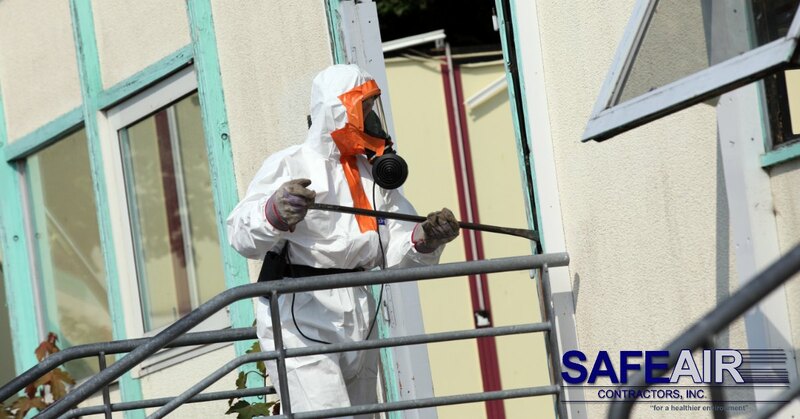 If there are asbestos fibers present in the air in your home, then it’s a good idea to have an asbestos remediation company like SafeAir Contractors come and take care of the problem professionally. 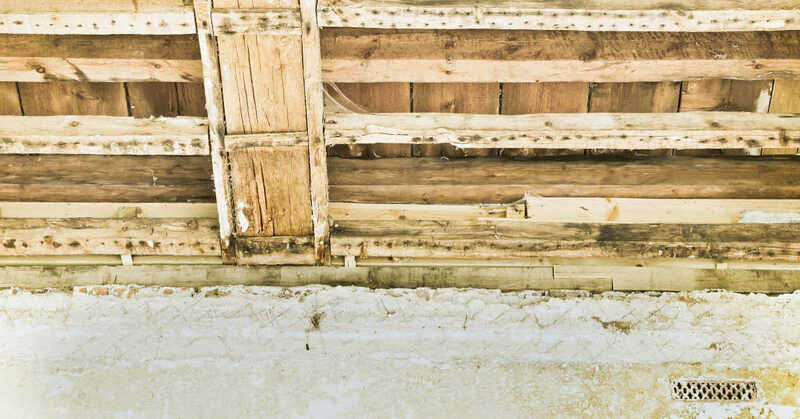 Professional removal is always recommended because when done improperly, asbestos removal can result in significant health problems as well as pose a risk to the environment. How does SafeAir control your asbestos ceiling problems? This depends. If you have asbestos ceilings that are not compromised, you can still call in SafeAir Contractors to come and encapsulate the popcorn ceiling by painting over it and sealing it. This will make asbestos contamination less likely in the future. If you need your popcorn ceiling or asbestos contaminated ceiling tiles removed completely, SafeAir can do that too! Asbestos Ceiling Problems Need Taking Care Of? Are you facing asbestos ceiling problems in your home or workplace and need help getting them taken care of? SafeAir Contractors can help. Just give us a call at 440-639-1191 and see how our 29 years of excellence in environmental remediation services can benefit you!